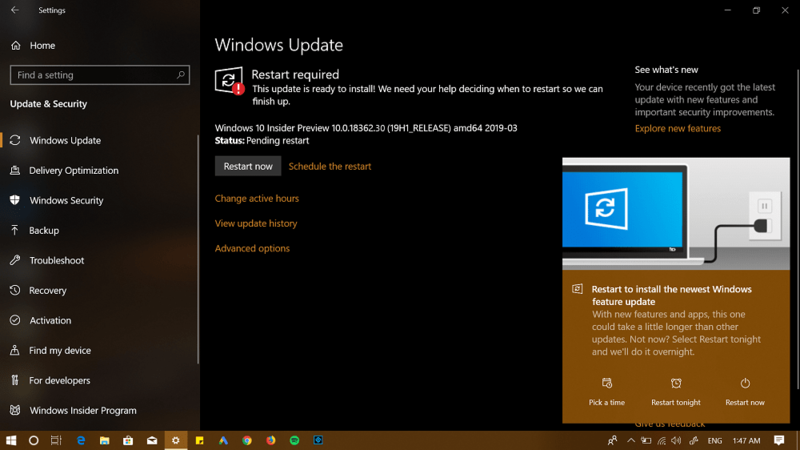 Want to download and install Windows 10 May Update version 1903 before anyone else? Here’s how you can do that. 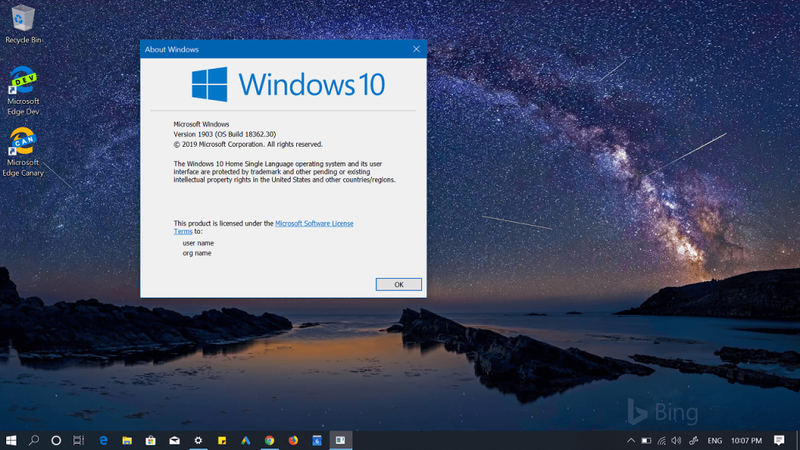 Windows 10 version 1903, May 2019 Update (19H1) is going to be the seventh major update which company is going to roll out in the late May with new handy features and improvements. You can check this blog post covered by Winaero to find out what’s new in it. Many users might be asking the following question i.e. Is it possible to download and install Windows 10 Version 1903 before official update hit your computer? The answer is certainly Yes. Let’s find out how. Windows 10 version 1903 build 18362.30 is the final version. The same build will be delivered to the users when the company is going to release Windows 10 May 2019 update publicly. The company has already released the Windows 10 build 18362 (19H1) to the Windows Insider in the Slow ring. To get early access to Windows 10 May 2019 update all you have to do is to join Windows Insider Program, then download and Install the same build and opt out of it. 1. First of all, you need to join the Windows Insider Program. For that, head over to Settings > Update & Security > Windows Insider Program. Next, follow the on-screen instructions. Note: When “What page you do want to receive preview build” dialog box comes up, you need to select Slow in the options. Once you have enrolled to Windows Insider Program, reboot the computer. The same update will start downloading automatically. Once done, click on the Restart now button. After rebooting, the Windows 10 will successfully be updated to version 1903 build 18362.30. 3. 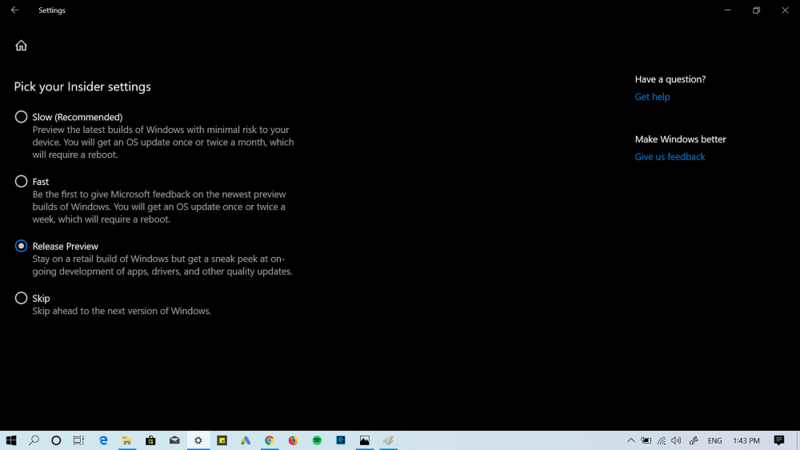 Once you have installed the Windows 10 May 2019 update opt out of Windows Insider Program. For that, head over to Settings > Update & Security > Windows Insider Program. Here on the right pane, under “Stop getting preview builds” move the slider for “Opt this device out of flighting when the next major release of Windows 10 is installed.” to Off position. For that, Go to Settings > Update and Security > Windows Insider Program. 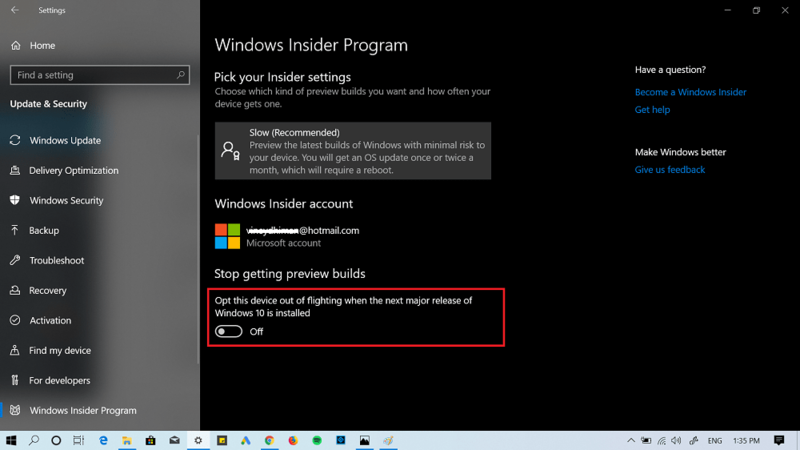 Under “Pick your Insider Settings” select the kind of preview build (slow). On the Next window, you need to select “Release Preview.” There’s not need to rebooting your computer to apply the changes. Will you keep using Windows Insider program or opt out of it after installing Windows 10 May 2019 Update version 1903? Find this blog post useful? Let us know in the comments.